Modern and stylish, this Safavieh Courtyard area rug is a quality accent piece. Designed as an indoor/outdoor piece, its plush synthetic material will make you feel cozy and comfortable. Keep this machine-made made rug in your home for a long time. This grey rug has a fashionable geometric pattern to add some flair into your home. 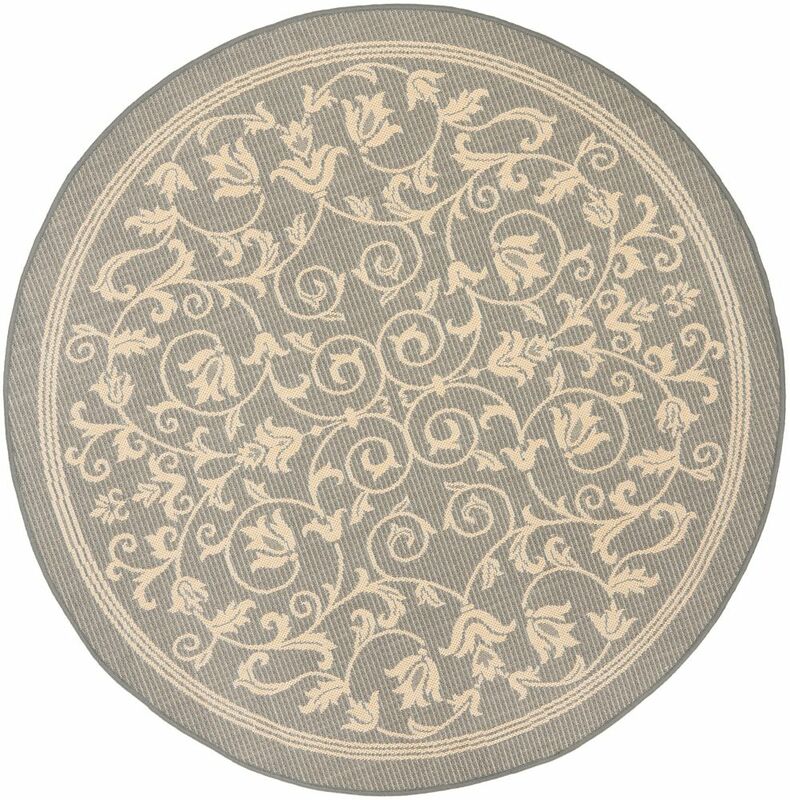 Courtyard Marc Grey / Natural 5 ft. 3 inch x 5 ft. 3 inch Indoor/Outdoor Round Area Rug This Safavieh Courtyard area rug infuses contemporary style into any room in your home. Add this indoor/outdoor rug to your home for a comfy, yet stylish design option since it is made from plush synthetic material. This machine-made rug makes long-term decorating easy. Bring this floral plants patterned grey rug into your living spaces for a contemporary design aesthetic.